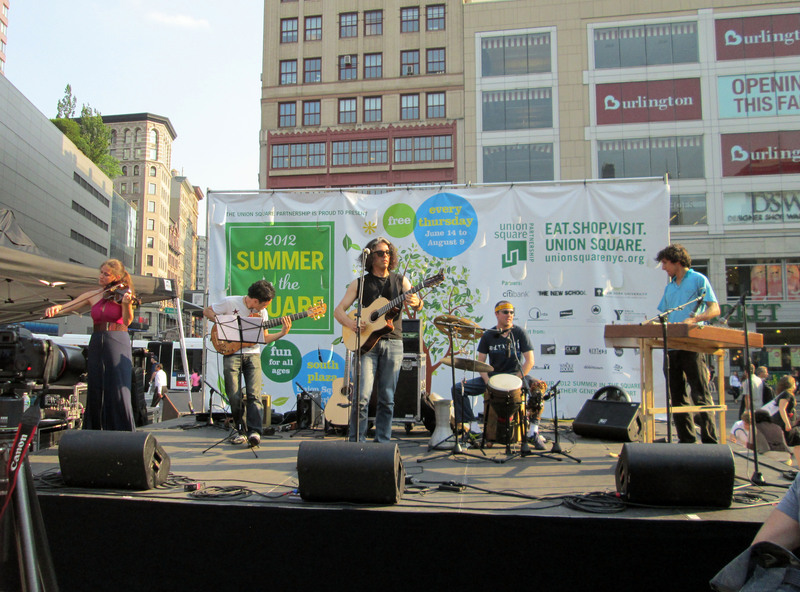 Thanks for the Union Square turnout! 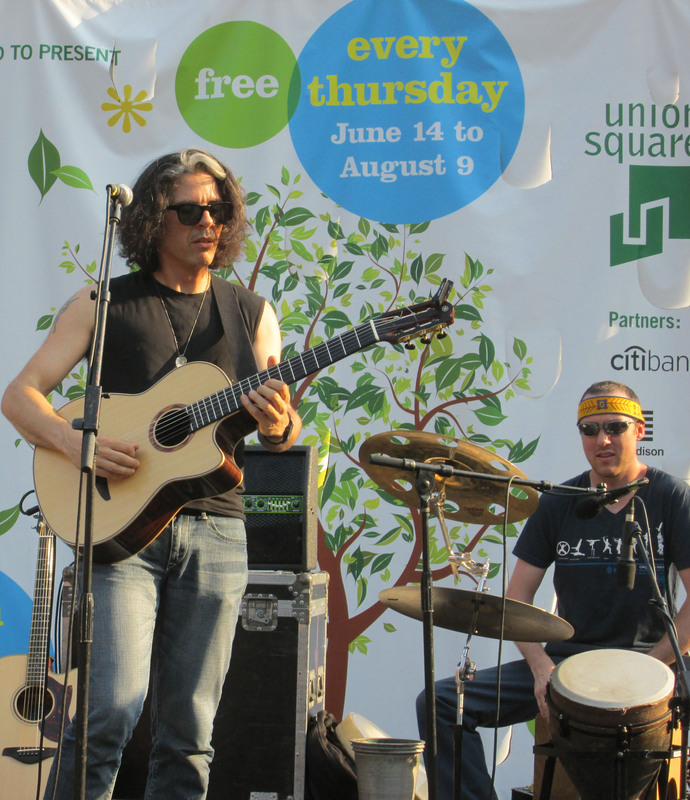 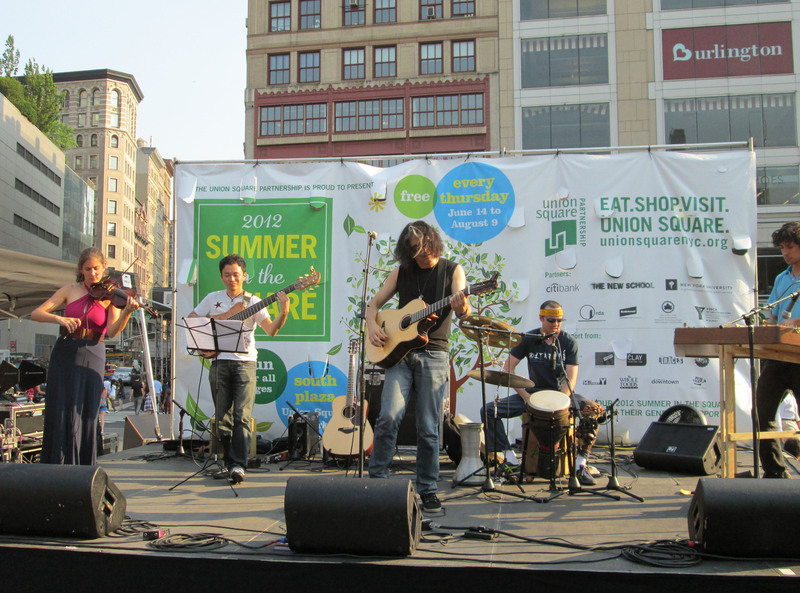 Thank you for that great turnout in Union Square for the Make Music NY, New York’s largest free outdoor music festival, and Guitar World and NYC Guitar School’s “Mass Appeal: Guitars on June 21” event. 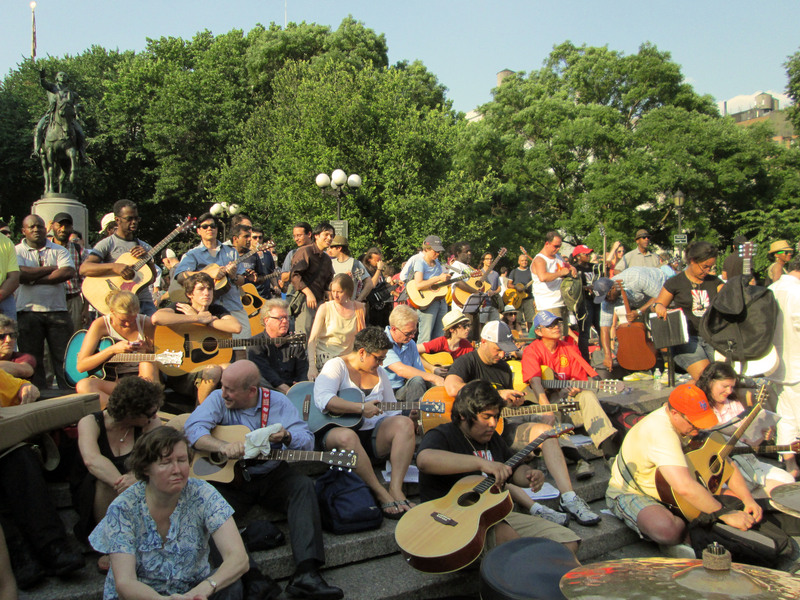 Among music enthusiasts and NYC guitar school students, spot novelist Bradford Morrow in the crowd!